'Olde' Muskoka summer cottage available in the heart of Port Carling on the Indian River, Lk Rosseau. An In-town location on town water, private yet close to all amenities! Walk to the shops, restaurants, library, arena, island museum. This roomy two storey, 5 bedroom cottage has pine floors, two bathrooms, and sleeps up to 9 people, wifi is available. 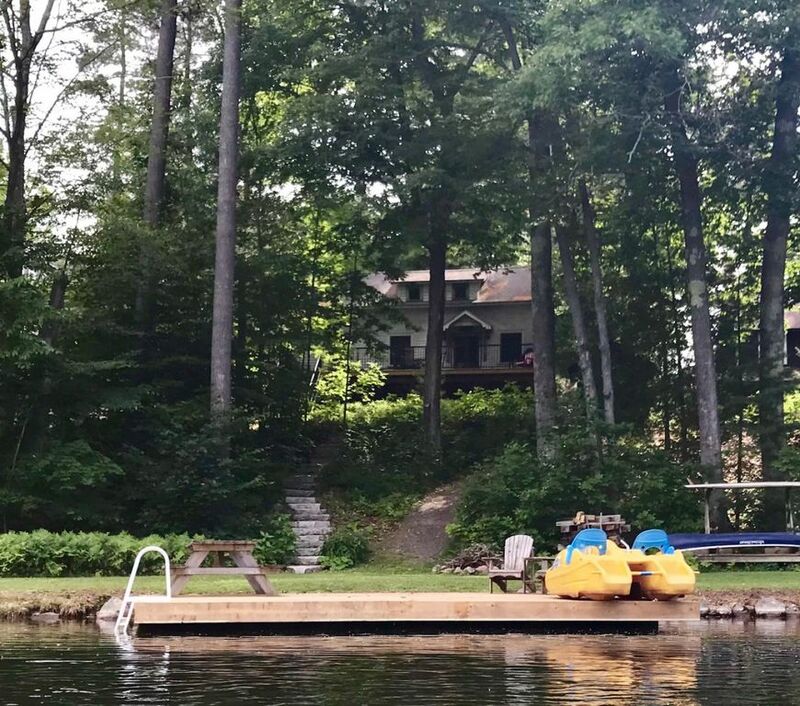 The property is gently elevated, well treed and has it's own dock and firepit. A canoe and paddle boat are available for your enjoyment. This location offers big lake boating into Lakes Muskoka, Rosseau & Joseph. Great swimming with shallow entry and deep water off the dock! Port Carling is the hub of the Muskoka Lakes, offering a central base to discover all Muskoka has to offer. Close to hiking trails, golf courses, resorts, boutique shopping and gourmet dining. Explore, Muskoka! The kitchen is equipped with dishes, pots and pans, small appliances and some essentials ie plastic wrap and foil. Coffee, an assortment of teas, cream and sugar are provided and a welcome bottle of wine to enjoy! Driveway is shared, parking is available behind the cottage for up to 3 cars. There is additional street parking or parking across the road in the library parking lot. One week stays only during July and August - Check in and out day is Sunday.